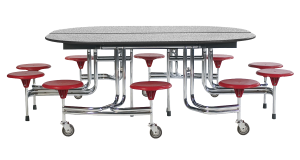 BioFit cafeteria tables are available in a variety of shapes and sizes – including non-traditional and geometric shapes as well as ADA configurations – to accommodate students from K-12 and beyond. 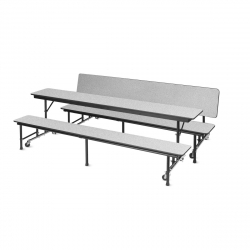 BioFit mobile folding cafeteria and lunchroom tables are designed to positively impact the learning experience and bottom line of schools while keeping student wellbeing and performance at the forefront. Nearly six dozen models in a variety of shapes and sizes are available – including non-traditional and geometric shapes as well as ADA configurations – to accommodate students from K-12 and beyond.